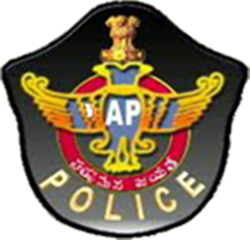 AP Police Constable Stage 2 Online Application form 2019: Recruitment to the posts of SCT Police Constable (Civil) (Men & Women), SCT Police Constable (AR) (Men & Women), SCT Police Constable (APSP) (Men) in Police Department and Warder (Men) & Warder (Women) in Prisons & Correctional Services Department and Firemen (Men) in A.P. Fire & Emergency Services Department was notified vide Notification Rc.No.215/R&T/Rect.2/2018, Dtd:12-11-2018. The above qualified candidates are required to fill up Stage-II Online Application Form in which they have to enter Unit Preferences, Study, Residence and other details which were not entered in the first Online Application. The Stage-II Online Application Form will be available in the website “slprb.ap.gov.in” from today i.e., from 28-01-2019 to 04-02-2019. The candidates should fill the said Online Application Form immediately and they should bring the print-out of the said Stage-II Online Application Form while coming to attend for the PMT/PET test and submit the same to the authorities concerned. Call letter for PMT/PET cannot be generated by the candidates who have not filled Stage-2 Online Application Form. I got qualified for PMT & PET but while opening the particular web page to submit the required details for PMT&PET its not opening the page and also I am getting error message like "Invalid Regd. No. or SSC Hall Ticket No." please help me out in this regards asap. I am A Hari Shankar native of kurnool , i would like to bring to your notice about the problem that im facing right now is that i did got qualified in the First stage of AP Constable and im not able to proceed for the second stage of AP Constable (physical Test) when i tried to enter my Regd and Hall ticket to fill up Second Stage it shows "invalid id or Regd Num"